Shelley Noble's Whisper Beach surprised me. I expected the typical summer book about women who reunite after twelve years, discovering romance and rediscovering friendship at a resort. It was anything but typical with a cast of characters that were grittier with more realistic problems than many of the characters in these type of books. Even the setting was a working class setting, the small-town diner and bars of a New Jersey town, as seen by the residents, not the tourists. Vanessa Moran had escaped from Whisper Beach when she was eighteen. After witnessing the love of her life with another girl, she got drunk, got pregnant, and her father kicked her out of the house. Two friends helped her run; one gave her money; one showed up when she lost the baby. Now, she's a successful businesswoman in Manhattan, only returning for a funeral when her cousin's husband dies. Van hopes to escape quickly, but a couple friends have other plans. Dorie, the woman who owns the pier's Blue Crab Restaurant, took in all the stray teens who worked for her, including Van. Now, she needs help to keep her restaurant going. With a little pressure, she gathers her "girls" around her one more time - Suze, wealthy socialite turned professor; Van's cousin, Gigi, a lost widow at thirty-one; Dana, the sarcastic one who Van blames for ruining her life; and, of course, Van. It's good to see some old friends, but Van has no interest in seeing Joe, the boy she wanted to marry at one time, or her father who kicked her out. Sometimes, though, life doesn't go as planned, and Van should know that. She appreciates the quote, "You Can't Go Home Again," but Van will learn home isn't what you thought you knew at eighteen. The women's fiction that deals with friendship seldom deals with working class families and problems with family fights, drunkenness, abuse, pregnancy, illegal workers, all issues that come up in Whisper Beach. When I summarized it to a friend, he thought it sounded depressing. It isn't. 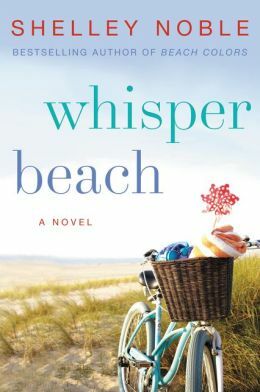 In fact, Whisper Beach is a refreshing change from the expected storyline. Even the ending isn't the typical, "And, they lived happily ever after" ending. It's much more realistic, leaving doubt as to what will happen to the characters and their relationships. It's actually a treat to discover Shelley Noble's story of ordinary people coping with life. Shelley Noble's website is www.shelleynoble.com.Shelley Noble is a former professional dancer and choreographer and has worked on a number of films. She lives at the Jersey shore where she loves to visit lighthouses and vintage carousels. 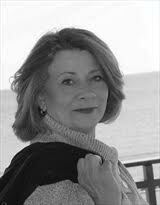 She is a member of Sisters in Crime, Mystery Writers of America, and Romance Writers of America. Whisper Beach by Shelley Noble. William Morrow. 2015. ISBN 9780062319166 (paperback), 416p. 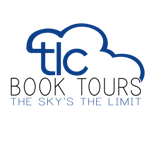 FTC Full Disclosure - I received the book to participate in the TLC book tour. Interesting. Wallace Stroby's first books were about former cop Harry Rane, who lives and works in much the same blue collar milieu of the Jersey Shore. You might like them. Thank you, Jeff. You're such a big Stroby fan, I'm going to have to check out his books soon. SOLD! sounds terrific and I'm off to check it out. Thank you, Lesa (again!). My pleasure, Kaye! As always. It sounds like this book deals with real life, everyday problems that many of us have to face, and that really appeals to me. You're welcome, Heather. Yes, it's much more realistic than many beach reads. Very good book!